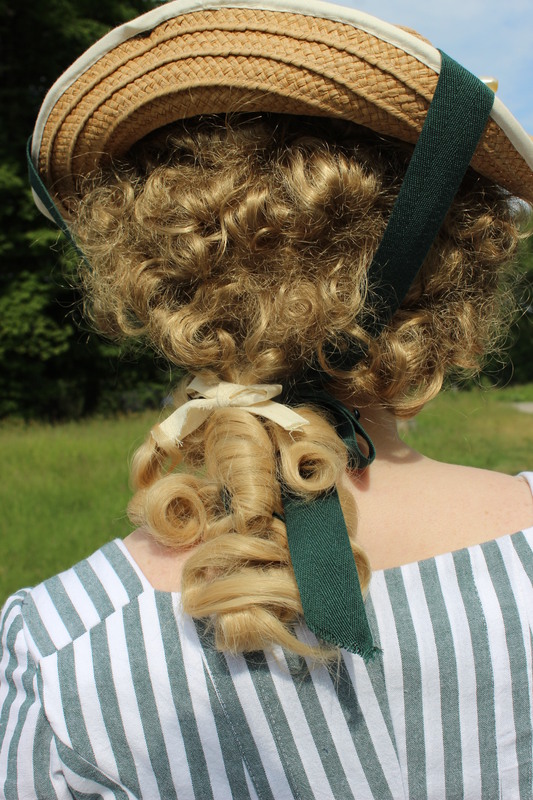 This weekend during the historic picknick I got quite a few coments on my hair (even though my sister got more), and since I normaly have short red hair, I had to confess I was wearing a wig. 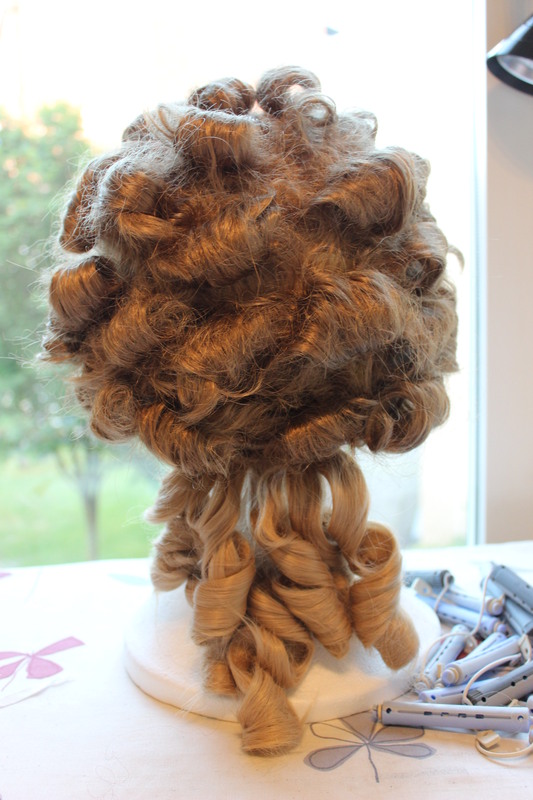 Not very unusual for 18th century dress up, were you need tons of hair arranged in complicated ways to get the right look. 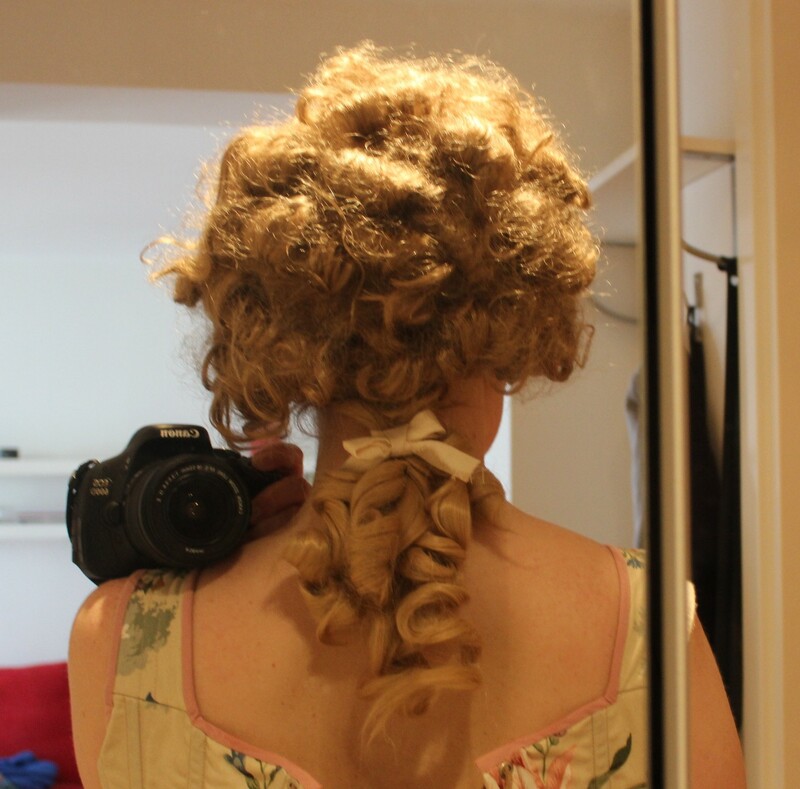 I have ordered Demodes new book on 18th century hair styling, but since it wont arrive in yet another month, I figured I had to try to remodel the wig on my own. 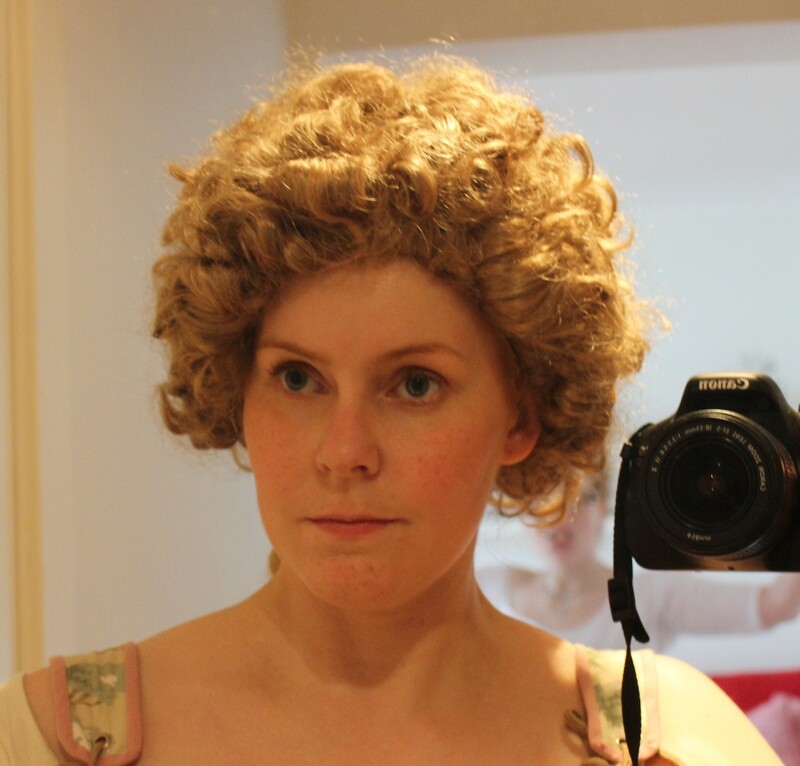 So two nights before the picknick I rolled the wig onto pin curls. 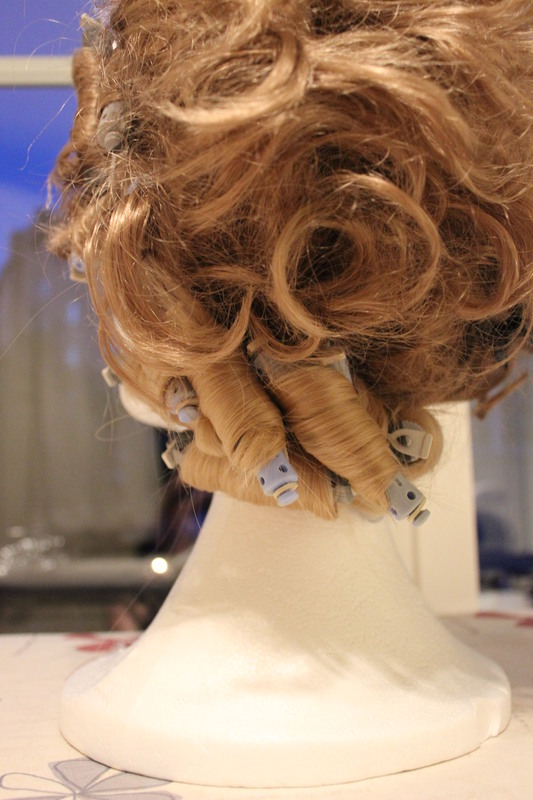 Starting with the attached ponytail in the back. Then I held it under water for a while to get it totaly soaked, and then put it in the owen to heat. I put the owen on 50-75c and left it for about 3-4 hours. 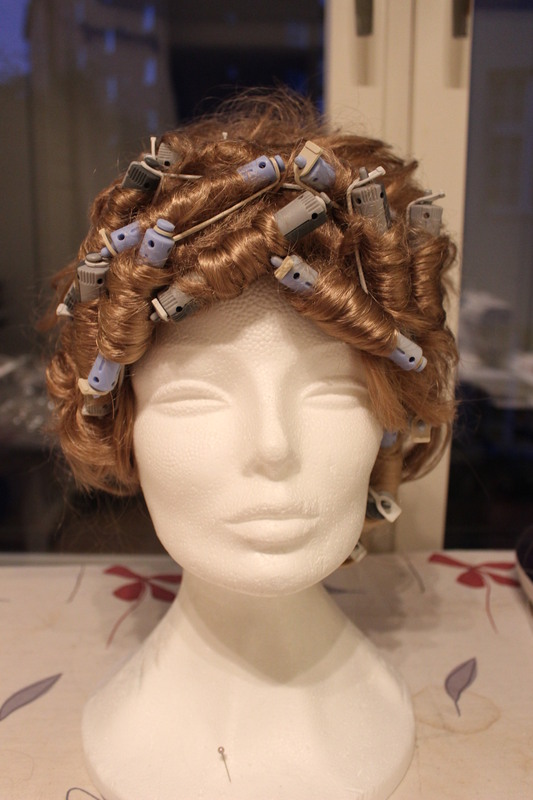 When I took it out it was still wet, and I let it sit over night and the next day. 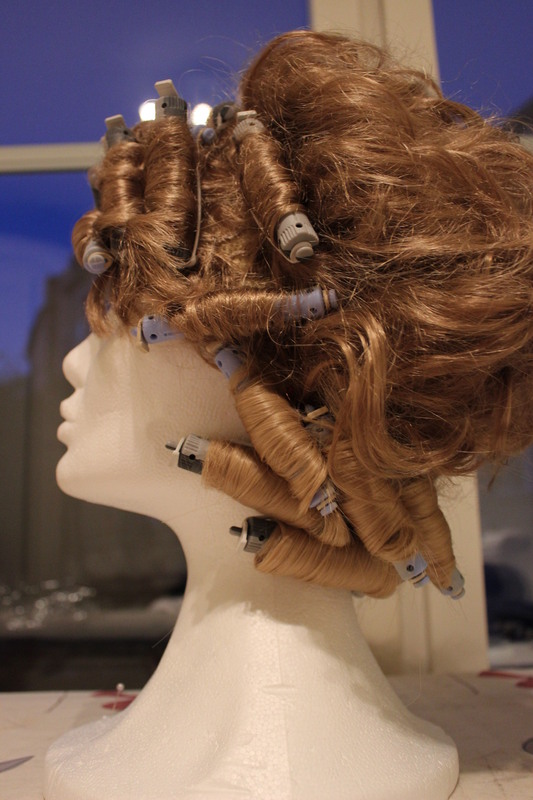 When I got home from work I started to unrol the curlers. 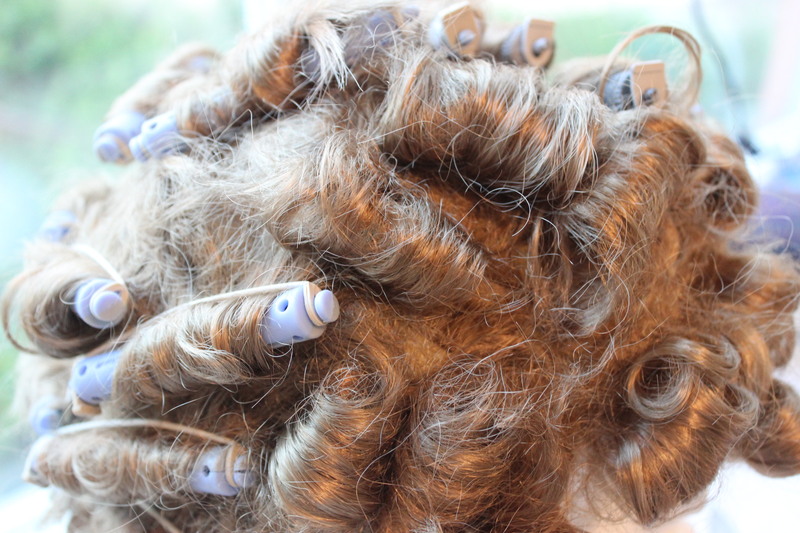 And the curls where so strong they didn’t move an inch. 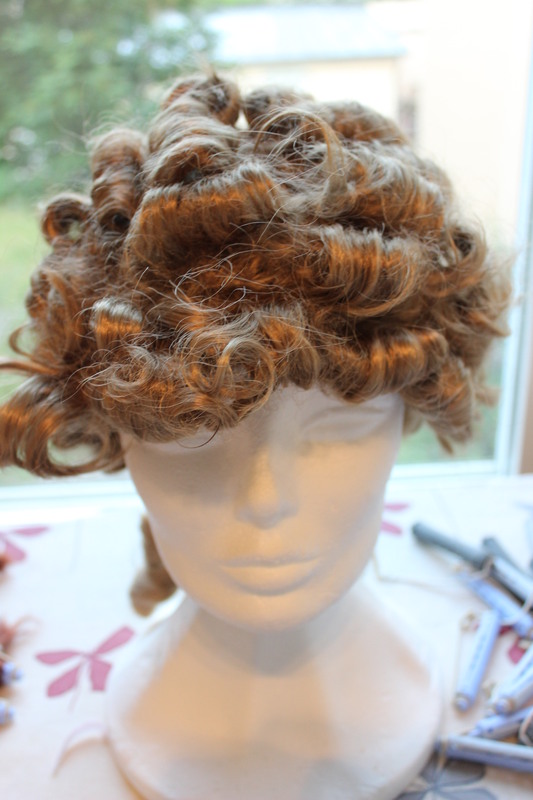 The wig right after I removed the curlers. 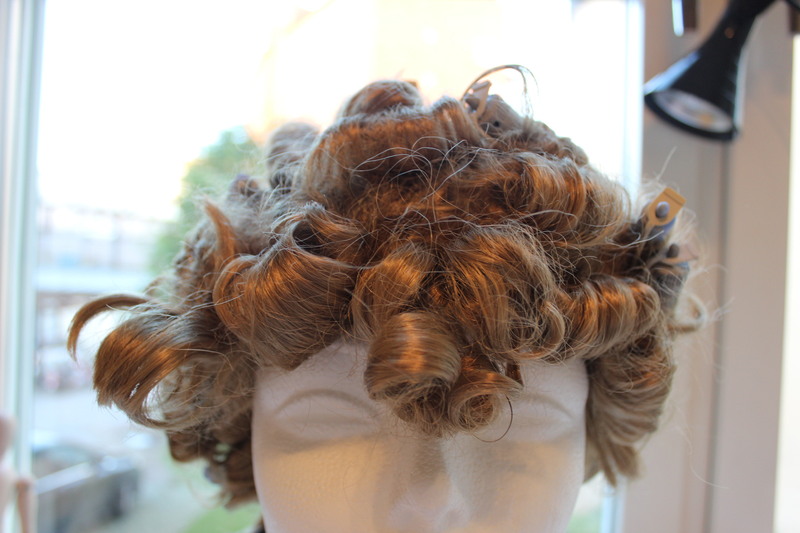 I used my fingers to mes up the curls and to gove them some bounce. 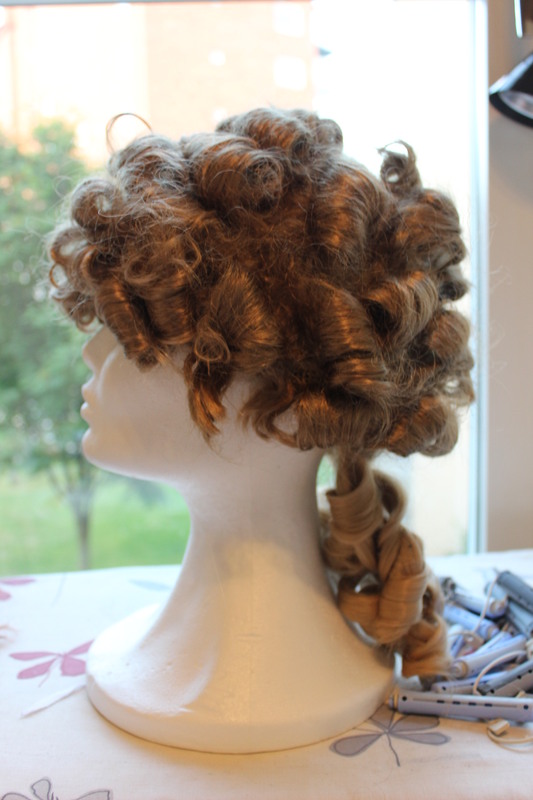 And finaly finished and styled with a bow and hat. All and all I’m pretty pleased by the result, but I would have liked it to look softer in the front hairline to make it les wigy. Hopefully the new book will help me with that. 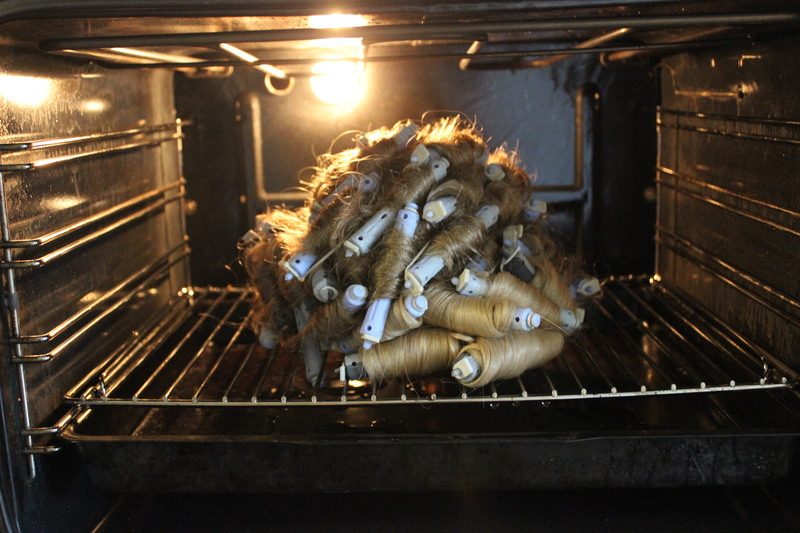 But I must confess – the idea with using the oven wasn’t mine. I read it in internet (can’t remember where), and thought to give it a try.